Silent Temples, Songful Hearts presents an enlightening and enjoyable look at the traditional music and culture of Cambodia, and particularly how it is thriving today in communities outside of Cambodia. 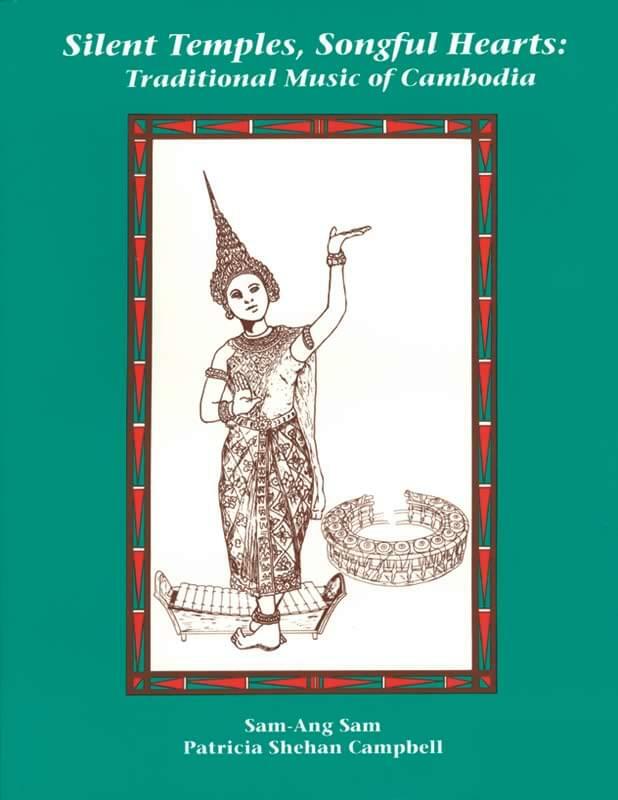 This is the first time an in-depth yet nontechnical collection of Khmer music has been prepared in English, geared for use in the music or social studies classroom, community outreach programs, or courses in ethnomusicology or Southeast Asian studies. Written by Sam-Ang Sam (a widely respected Khmer musician and ethnomusicologist who has devoted his life to preserving and sharing the musical traditions of Cambodia), and Patricia Shehan Campbell, music educator and ethnomusicologist, this fascinating book and audio set offers a wealth of personal insight and information on Cambodian music and culture. The book includes a wide variety of songs and instrumental pieces, from children's lilting etiquette songs, game songs and dances to beginning drum, xylophone and flute pieces, to exciting boxing music and stories told through song and narration. This is an invaluable aid to understanding, cherishing, and maintaining the truly beautiful musical tradition which is the foundation of Khmer culture. Many of the xylophone and flute parts can be performed on Orff xylophones and recorders. Information on Cambodian communities in the U.S.